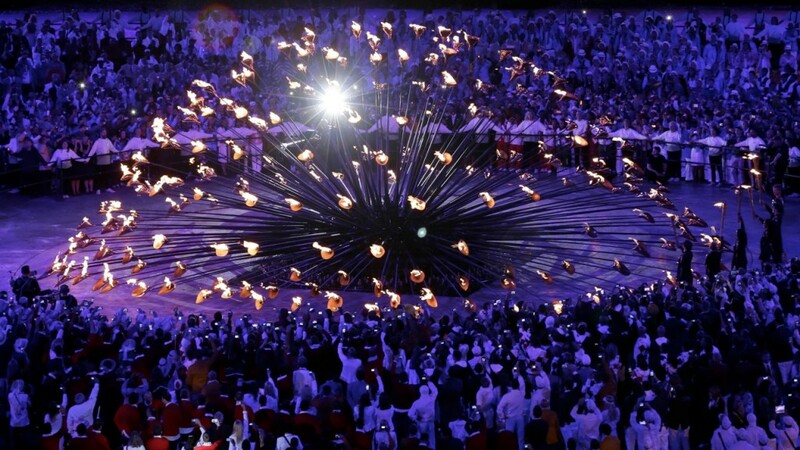 Heatherwick studio’s cauldron for London 2012. Provenance has traditionally been the last resort of the strategic scoundrel. If you fancy an early lunch at the Delaunay and you simply cannot think of anything else to say about a brand you fall back on where it is from. Australian lagers, German cars, Scandinavian furniture, French sexual positions, you know the kind of thing. It may well work but provenance leaves one with a sense of intellectual self-loathing as you wallow in national clichés. And no other nation has presented more of provenance problem than Britain. If our understanding of other cultures is rather thin then the same has been bizarrely true of our own nation. It’s as if we have never really understood ourselves properly. Only those Brands eager to brandish their credentials as parliamentary candidates for UKIP have generally gone anywhere near British provenance and they have generally been limited to the real ale category. No, let’s face it, the words ‘made in Britain’ have traditionally had the consumer pulling power of George Osborne at medal ceremony. For if something had actually been created in Britain our assumption was that it was badly designed, shoddily made and expensive. And then on Sunday 9th September I rather think this changed forever. Lord Coe, not perhaps one of the World’s greatest orators, closed London 2012 with those precise words – Made in Britain. And with this he distilled all of the success and pride of our country’s greatest summer into that tired old phrase, giving it an entirely new meaning and giving us a new national narrative. Ever since London last held the games in 1948 our national narrative has been one of decline – of a country ‘going to the dogs’. Wrestling with economic collapse, our precipitous decline in influence and lashings of post-colonial guilt, we felt worse than useless. Summers of love, jingoistic wars in the South Atlantic and credit booms did nothing to suggest that Britain was anything but a failure. And we knew it, creating our appalling brand of cynicism to protect ourselves from the truth, or at least allow us to stick the boot into our wounded pride before anyone else could. But this summer that narrative fundamentally changed, once again we are palpably good at things. It’s not just about our most successful Olympic and Paralympic teams in history (or since 1908 when we made up all the rules and didn’t tell anyone else) but also the prowess of pulling off the greatest show on earth, on time and on a budget far smaller than Beijing or Rio. And while we are at it, it is also about the global dominance of our cultural exports from Adele to Downton Abbey and the success of British made brands like Mulberry and Land Rover. The efforts of our struggling Government aside, Britain is unequivocally a success and all of a sudden British provenance is once again powerful. This is not about draping a brand in the flag, it is behaving in a way that undeniably reflects this new British narrative. A narrative that works best when paired with the spirit of Britain that was crystallised for the first time in Danny Boyle’s opening ceremony. For British spirit is no longer best understood through that horrendous cliché about keeping calm and carrying on, of understatement and ‘mustn’t grumble’ martyrdom but through the lyrics of our new unofficial national anthem, Dizzee Rascal’s Bonkers. This is the only nation on Earth that would have its head of state jump out of James Bond’s helicopter or fill the closing ceremony with roller skating nuns and Roman centurions dancing the cancan. As the New Yorker pointed out in its review of Mr Boyle’s masterpiece this is the nation of Bonkers. Right now there are clearly short-term benefits to be had from capitalising on our elevated sense of national pride but the real rewards for British brands will not come from superficial patriotism and pageantry. There is far more to be gained from understanding and harnessing this new national narrative and from exuding the idiosyncratic spirit of British bonkersness than simply slapping the Union Jack on your packaging and thinking of England. This post originally appeared as an article in Campaign magazine. Old cynic that I am I was preparing to be underwhelmed by the much hyped Olympic opening ceremony (I’m not that into sports and wasnt going to watch it) but I was completely blown away by Bond meeting the Queen and her parachuting out the helicopter – absolute genius…hilarious.